AUBURN UNIVERSITY, Ala. – Alabama produces around 2.6 million tons of solid waste every year. Roughly 20 percent of that amount is made up of lawn and garden wastes – grass clippings, leaves, tree and/or shrub prunings, home garden refuse and kitchen wastes. 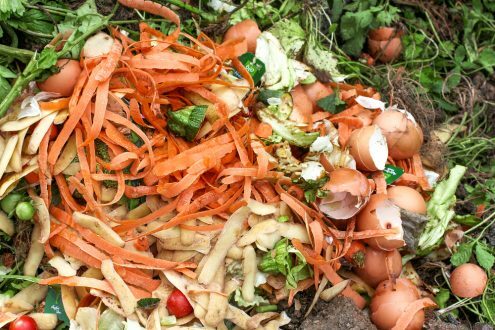 Composting is becoming a growing trend for homeowners to reduce the amount of waste. 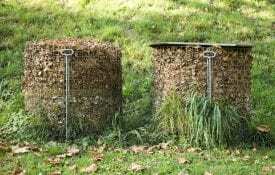 Composting is simply the acceleration of the natural process of decomposition. A process that can take years to occur in nature is compressed into a period of months and in some cases, just weeks in the yard or garden. 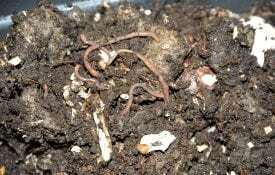 Sallie Lee, an Alabama Extension regional agent of home ground and home pests, said that composting is a great way to reduce the amount of waste we put into landfills. 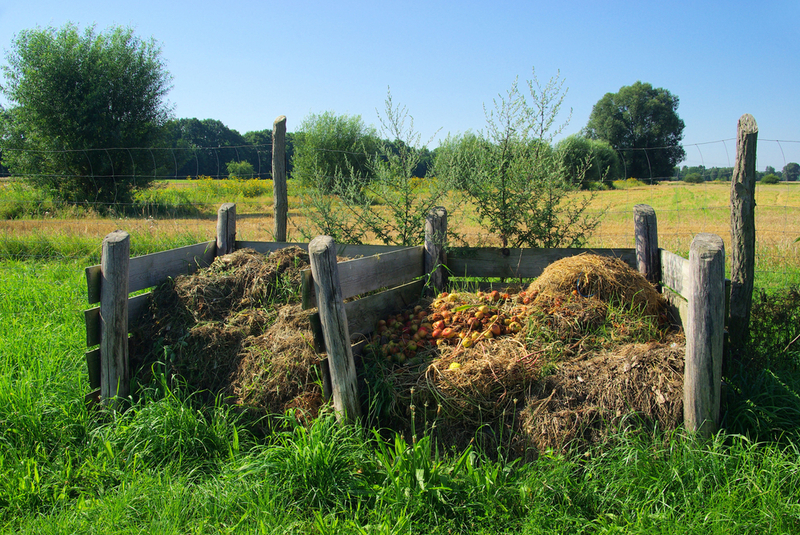 The key to successful composting is maintaining the proper balance of all components involved. Water – 40 to 60 percent is the ideal moisture content range of the compost pile. When squeezed, the compost should be moist, but not dripping wet. Too much moisture results in a slowing of the decomposition process. Carbon and Nitrogen – the ratio of carbon (plant residues) to nitrogen (manures, kitchen scraps, fertilizers) is very important. The optimum ratio of carbon to nitrogen is about 30:1. Too little nitrogen results in reduced microorganism numbers, causing a slowdown in decomposition. Too much nitrogen rapidly increases microorganism growth, therefore speeding up decomposition, but it can result in oxygen depletion and foul odors. Temperature – as decomposition occurs, it generates heat. In moderation, heat is beneficial because it destroys many disease organisms and weed seed. However, temperatures above 140° F create an unsuitable environment for the microorganisms and they begin to die. You can prevent overheating by turning the pile when temperatures begin to exceed recommended levels. 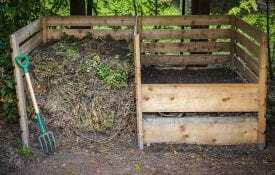 Beginning your compost pile is not difficult. It simply requires following a few fairly easy, but very important steps. Construct a successful compost pile, by alternating layers of yard wastes, a source of nitrogen (if required), and soil or finished compost. This provides an inoculation of beneficial microorganisms. Start with a 6-inch base layer, consisting of coarse material, such as twigs or small branches. Then add a 6 to 8 inch layer of leaves or grass clippings. Use other materials such as wood chips in the place of leaves or grass clippings.. Use fertilizer or manure to maintain the proper carbon to nitrogen ratio. The final layer should consist of 1 to 2 inches of soil or finished compost.